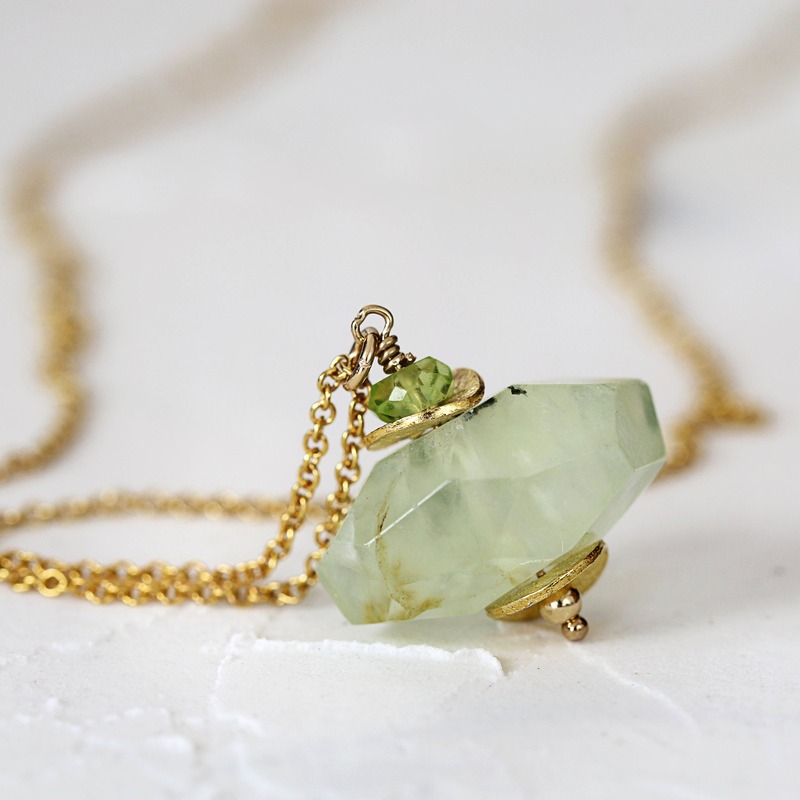 Featuring a sparkling peridot gem sat atop a softly glowing prehnite stone, with golden glints and accents in-between. Hung from a 14k gold filled chain in your choice of length. Gold fill is also known as 'rolled gold' - the next best quality after pure gold - it's not a plated finish and therefore doesn't rub off. 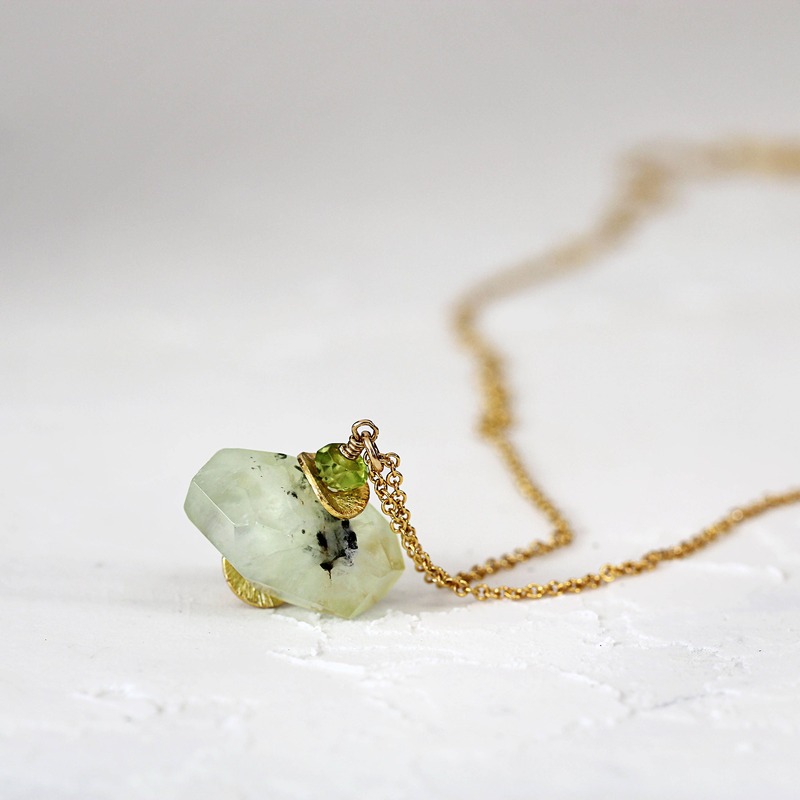 Peridot is the birthstone for the month of August, and is said to be a stone of compassion - bringing good health, restful sleep and peace. It has a warm, friendly appearance, somehow, and can bring delight and good cheer. 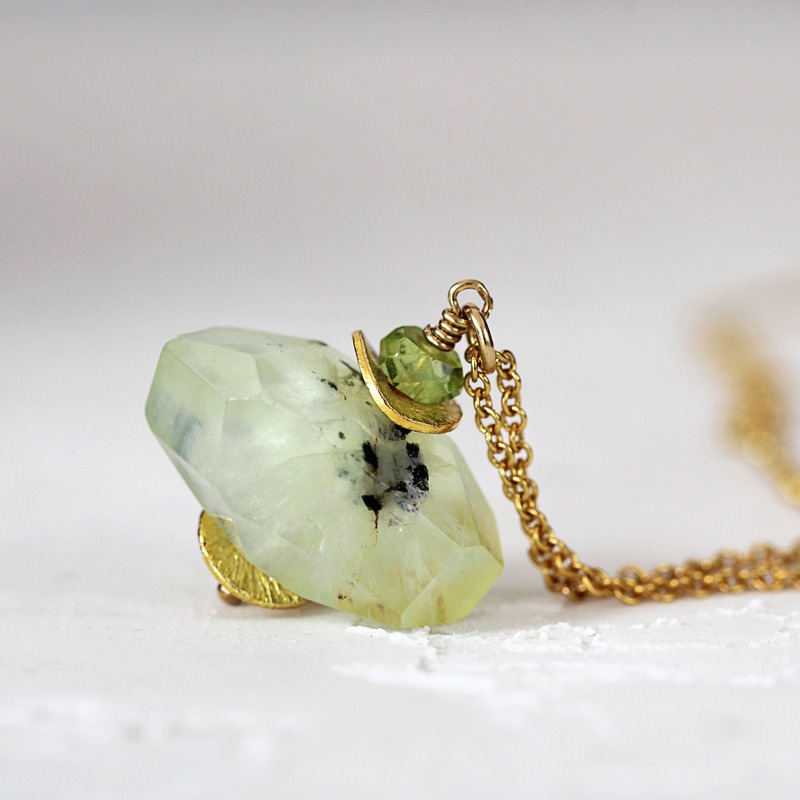 It is said to be a very powerful healing stone, as well as a protective, good luck talisman. 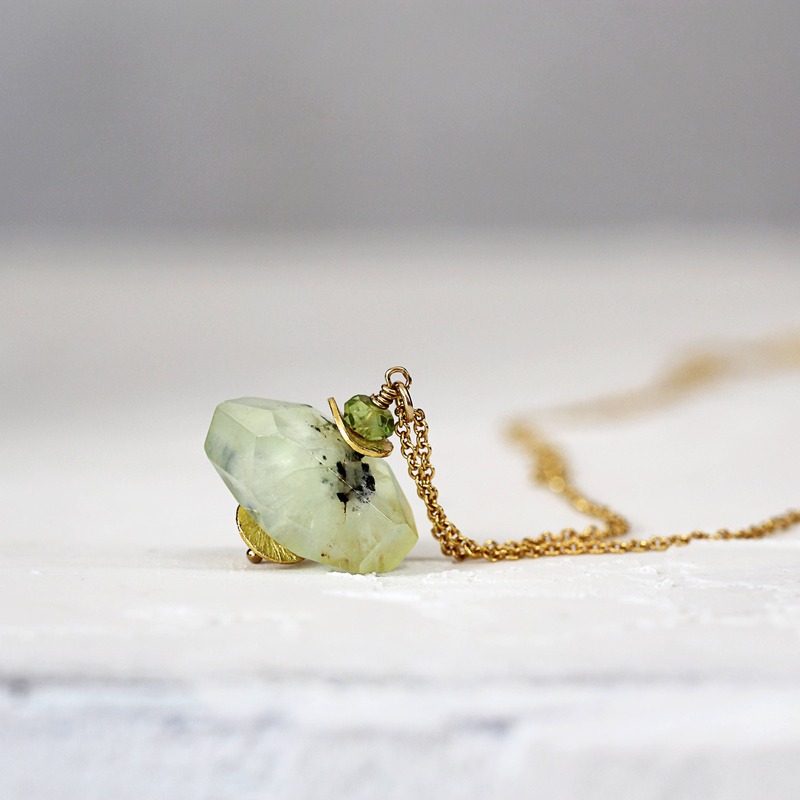 This natural gemstone necklace makes a thoughtful gift for a loved one - for mum, sister, friend, wife or girlfriend - for any occasion such as a birthday, a graduation, an anniversary, Valentine's or Christmas gift, or just for someone who would benefit from the special qualities that this beautiful stone has to offer. Also available in sterling silver, and matching earrings can be purchased too - please see full collection. 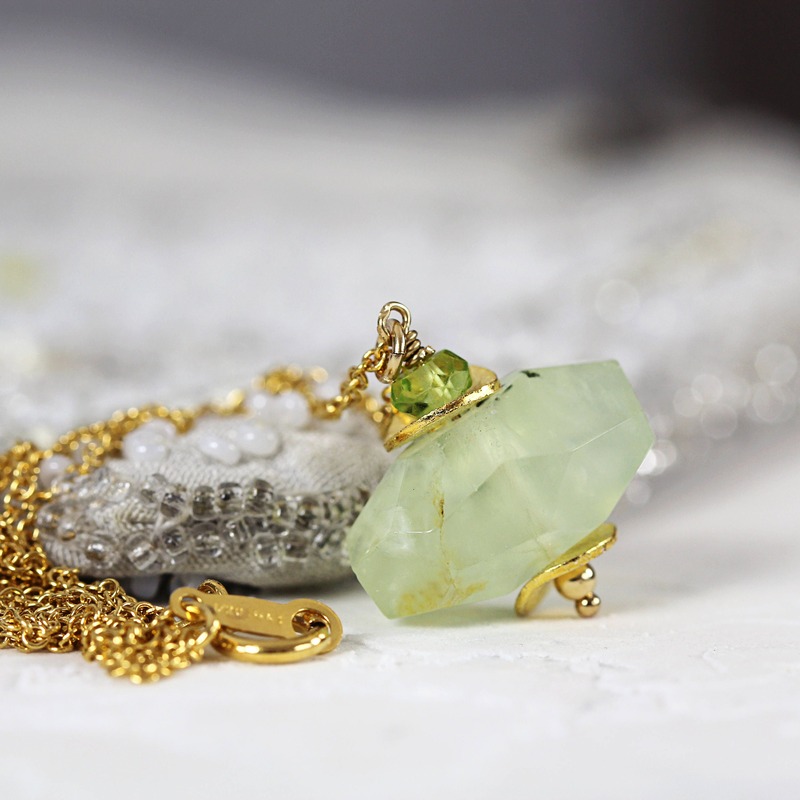 * Prehnite nuggets vary, but approx 10mm high x 15mm wide. * Pendant drops approx 16mm from chain.